The Apples, a family from Los Angeles, seek refuge from the hectic pace of city living and relocate to the father's hometown of Appleton, Iowa, which was founded by the father's ancestors. 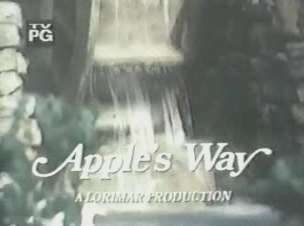 The Apples included George, an architect who relocated from Los Angeles, his wife, Barbara; their children, Paul; Cathy, Steven and Patricia; and their grandfather Aldon. There they had to adjust to new culture, the climate, and the pace of life. The family lived in a working grist mill, which served as a backdrop for the situations played out on screen. George would often increase, while meaning well, his family's tensions by getting involved with various causes. I have the following episodes on (7) DVDS.